Have you watched the movie James Bond 007 'Skyfall'? Do you remember the scene where agent 007 met his rival Raoul Silva? Yuph. It was on an Island. 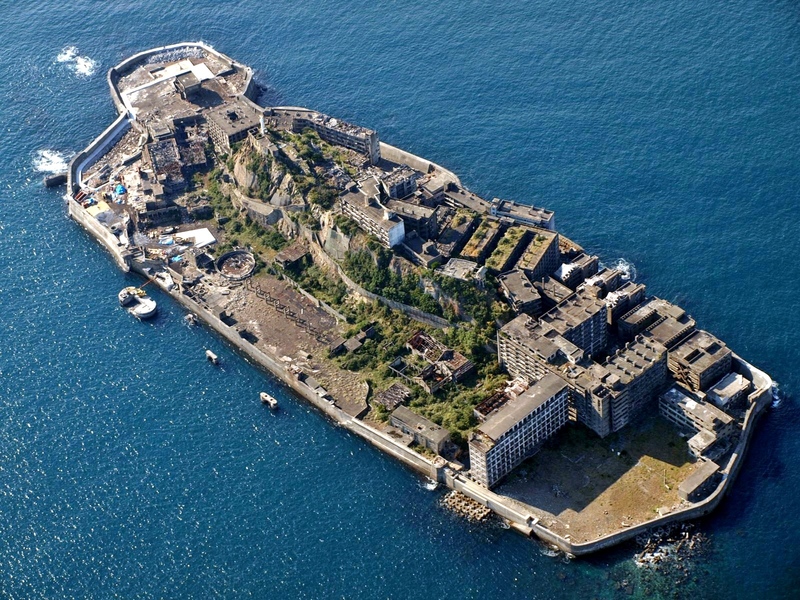 The name is Hashima Island or also called Gunkanjima which means Battleship Island. It's called Gunkanjima because the island looks like the Japanese Battleship Tosa. The Island was about to be used as the shooting location but, due to the security concerns, they made a replica which later to be used in 'Skyfall' scene. Okay. Let's talk about the island. It's located in Nagasaki Prefecture and it is one of the 505 uninhabited islands in Nagasaki Prefecture. Mitsubishi bought the island 1890 and began their project extracting the coal from undersea mines. They built Japan's first large concrete building (9 stories high). Concrete was used to protect against typhoon destruction. In 1959, the island's population reached it's peak of 5259 people. In 1960, when petroleum started replacing coal, all coal mines began shutting down all over the country. And in 1974, Mitsubishi officially announced the closing of the mine and just like in the movie 'Skyfall', the island was abandonned and left empty just in one night. So, it is just an empty island now and that's why it is also called Ghost Island. But, The Japan Government re-opened the island for tourism on April 22, 2009. Here are some pictures of the island.